The Basque separatist group Euskadi Ta Askatasuna (ETA, which stands for ‘Basque Homeland and Freedom’), which for more than 40 years has carried out armed attacks in against military, police and political targets across Spain, has announced it is giving up the armed struggle for independence of the Basque Country from Spain and has turned over to French police authorities more than three tonnes of weapons and munitions hidden across the border in southern France. Through the Artisans for Peace, a non-governmental organization that served as a mediator between the armed group and French authorities, over the weekend ETA directed French police authorities to eight different weapons caches in France that it says are the last hiding places for its weapons arsenal. According to media reports, the arms caches contained 118 guns, nearly 3,000kg of explosive materials and more than 25,000 rounds of ammunition. 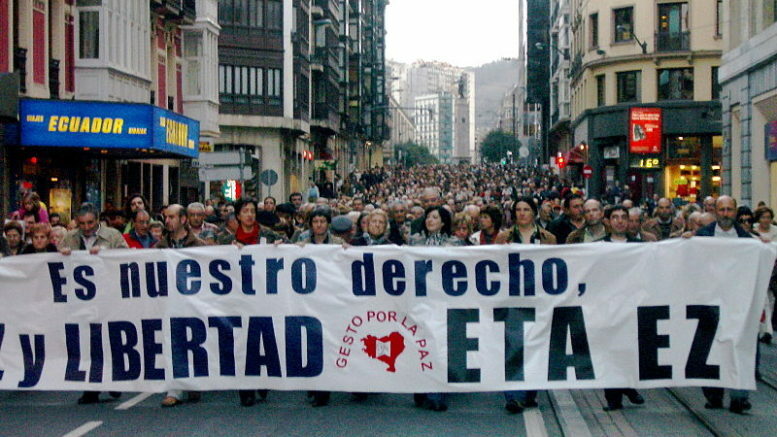 The Spanish government has announced that it still considers ETA a terrorist group and that it will not issue an amnesty for ETA prisoners currently serving jail sentences nor for any ETA members it is still seeking in conjunction with the armed group’s campaign of bombings, assassinations and kidnappings in the Basque Country and across Spain over the course of several decades.